Despite how popular online music streaming services of the likes of Spotify, Deezer or Apple Music are, just to name a few of them, some people still can't stand the idea of moving over to these platforms. Maybe because they're like Mr. Pink in Reservoir Dogs and don't believe in paying a cent to these companies, maybe because they can't afford to, or simply because they're romantics that still worship the MP3 format. 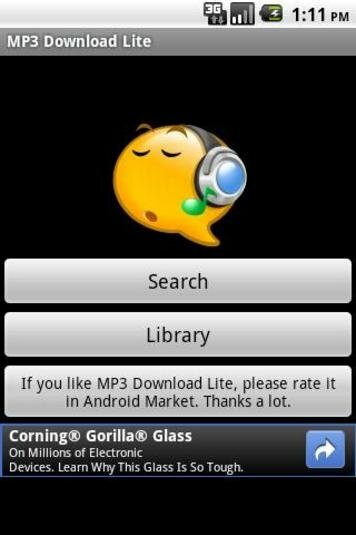 If you're one of these people, there's no need to worry because you can make use of applications of the likes of MP3 Download Lite for Android, a very basic music downloader that will help you to download the songs of your favorite bands and musicians. How version 1.22 of this works is child's play. 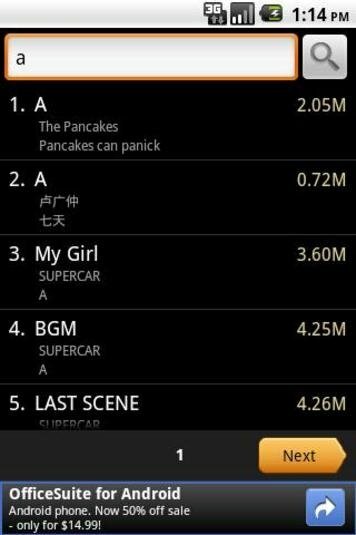 It works just like any other similar application: write the name of the song or the singer in the search box, choose one of the results and hit the download button, as easy as that. It also offers you a prelistening function so that you can make sure that it's what you're looking for before downloading the track. Choose between a wide range of music: simply search and download. Don't expect an application with a great design and advanced technical features because functionality is the priority of its designers. As you can see, it won't take you long to expand your music collection and it offers you the chance to explore thousands of songs. By downloading the APK to your smartphone or tablet you'll be able to find out for yourself: outdated graphical design and huge buttons all over the place. What else could you possibly need? Requires Android 1.5 or above.